on our Playground Tour Road trip! For the last few moths we have been on a Playground Tour, visiting over 20 playgrounds in the Baltimore area. As you can probably imagine, we have learned a lot about playgrounds along the way! so I thought I would share some of our favorite playground resources. Each stop includes a few photos and some info about the playground as well as a link for directions on how to get there. Kaboom: is a website where you can find playgrounds by location. You can also read reviews of the playground and see pictures. Kaboom has a free playground app, that is very handy for finding a playground when you are out and about. 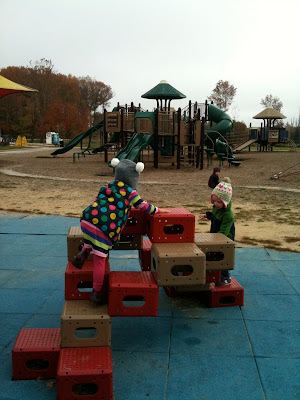 Playgroundology and Playground Chronicles: Great resources for all things playground! On the left hand side of both sites you will find playground sites and blogs dedicated to playgrounds. 100+ Top Resources for Play: This site actually has a list of 300 (and growing) sites about play. A great resource for anyone interested in play. 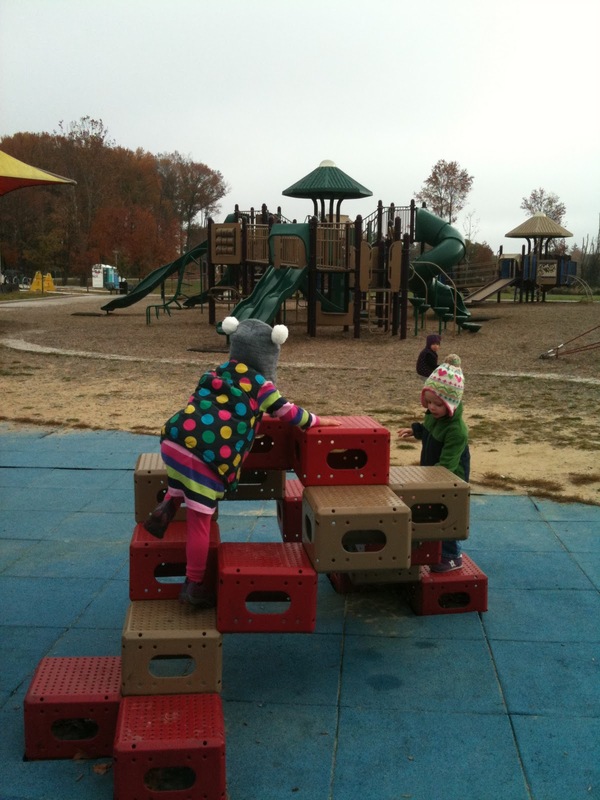 M Is for Monkey Bars: Getting Ready for Writing: a great post from Moving Smart about the importance of playground play for the development of muscles and motor skills that are important in writing. Playscapes: A Blog About Playground Design: Look at all these cool playgrounds from all over the world! Active Kids Network: A site all about outdoor play with resources for starting your own outdoor playgroup, and outdoor play ideas for all seasons. Next week (November 14-21) they are celebrating "Everyday Is Play Day" and encouraging families to play outside everyday, going on a mini playground tour could be a fun way to spend time outdoors everyday! Finally have a playground play day. Last weekend we invited a bunch of friends to come play with us at our local playground. It turned out to be a beautiful day and we had quite a few friends come out and play. We had a great time and it was such a fun and easy event I hope to do it again soon!